Down comforters wear out. Is it time to replace your's? Home / FAQ / How long should a down comforter last? How long do Down Comforters last? Protect your down comforter with a duvet cover, so you are not continually laundering it. 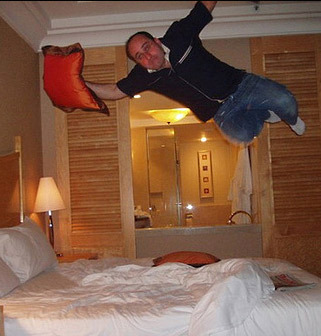 It is important to resist the urge to hop on your nicely-made bed after a long day. What will happen is the friction will break down the clusters in your down comforter and start to grind them into dust. Restless sleepers will wear out their down comforter quicker than those who sleep with less movement. If you're not sure if your comforter needs replacing, holding it up in a lighted room or up against natural light will show you if there are any worn-out compartments. If those compartments are indeed worn, then it is time for a new down comforter. You don't need to waste time shopping around for goose down comforters. 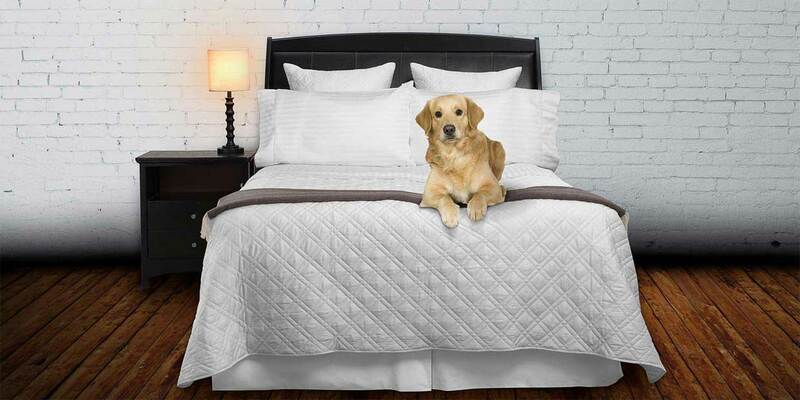 Vero Linens has everything you need in a Down Comforter, including the premium construction style - baffle box comforters, filled with light and warm snow white down. And if you are in search of new down sleeping pillows, Italian duvet covers or fine bed linens, look no further than Vero Linens. To shop for our luxury down comforters, click on the below shop now button.